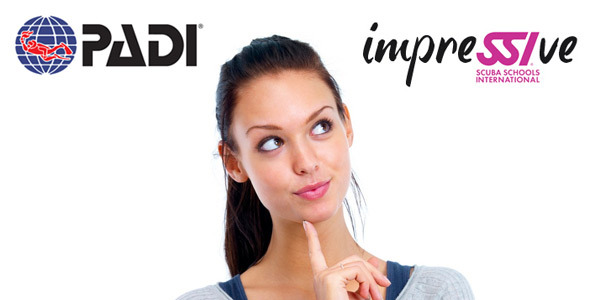 PADI or SSI, What's the Difference? The approach to diver instruction is based on progressive training in the classroom, confined water and open water to thoroughly develop an individual’s underwater skills and knowledge. Ko Lipe Diving’s comprehensive range of quality training materials are educationally valid, and are designed to facilitate student learning. KLD professional instructors are also equipped with a range of professional educational materials to teach from, and follow SSI and PADI standards, whilst adding their own personal experience and style to their tuition. 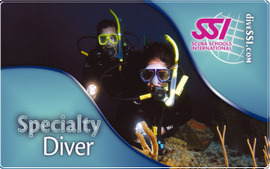 PADI and SSI courses are very flexible to accommodate everyone’s lifestyle and needs. You can study at home and then complete final dives whilst away on holiday - with Free SSI Online TRAINING or PADI eLearning. For more information see the course summary below. Our friendly and professional team of PADI and SSI diving Instructors can be flexible with dive course durations and start dates to suit you. We have course materials available in English, Dutch, German, Swedish, Norwegian, Danish, French, Italian, Spanish, Japanese, Chinese, Korean and Russian. PADI or SSI ? What's the Difference? Depending on what country you come from, you may have heard more about PADI than SSI. According to both of their statements / statistics and advertising PADI is the World's largest Diver Training agency, SSI is the World's fastest growing Diver Training Agency. 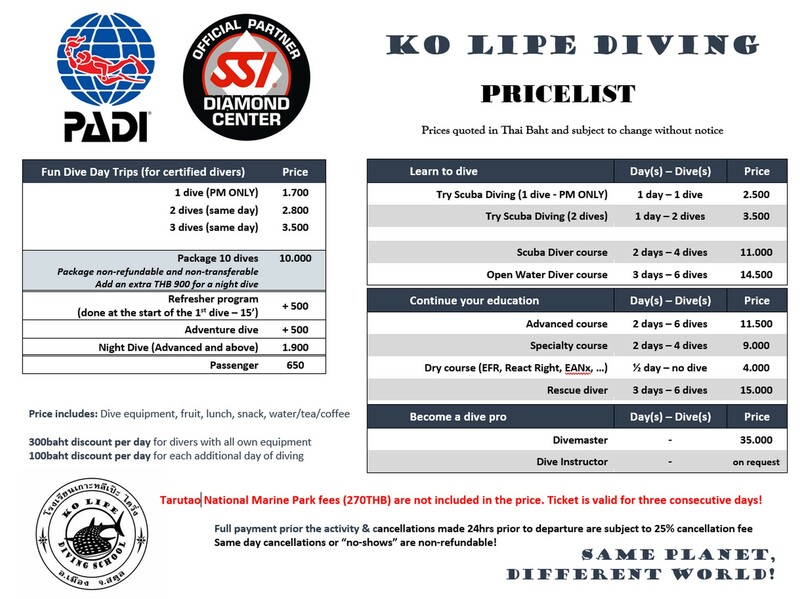 Here at Ko Lipe Diving we like to give you the choice, we are certified to teach Scuba Diving Courses by both PADI or SSI, this means you choose the course that suits you. We like to provide you with clear unbiased advice and information and let you choose. Are the certification cards of PADI and SSI recognized all over the world? Yes, it doesn’t matter with which organization you have learned to dive. So if a PADI Open Water diver for example wants to dive with an SSI Dive center, that’s perfectly fine. 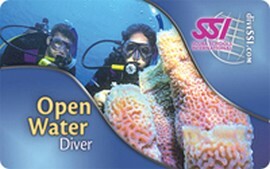 This counts certification cards of all dive organizations. 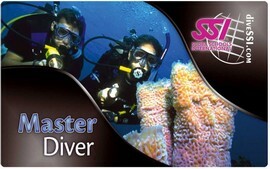 I have done my Open Water Diver course with PADI, can I do my Advanced Course with SSI ? 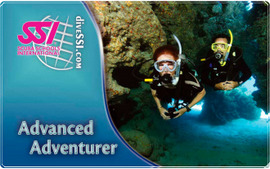 Yes, you can cross between PADI and SSI as much as you like for the recreational dive levels. Their levels are quite similar and certification of another dive organization is totally accepted. 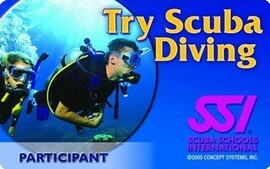 As noted all standards are set forth by the RSTC (Recreational Scuba Training Council). If I forgot to bring my certification card with me, will I still be able to dive? Both PADI and SSI have an online system and since we are affiliated with both PADI and SSI, we will be able to look you up. If a dive center is not affiliated with the organization you have done your course with, they can contact them to see if you are in the system. A signed logbook also helps. If I forgot to bring my certification card and I don’t show up in the system, will I still be able to dive? No, we, at Ko Lipe Diving, need to see proof of certification before we take you on a dive, regardless of training agency or experience level. 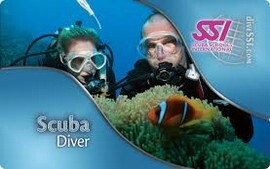 I want to do the PADI Open Water course with my family. Does everyone need to buy their manual? When doing PADI Courses - Yes, every student needs to purchase their own manual. Again, SSI does not require this - you are welcome to purchase one manual, or 20 - up to you. If you've never tried Scuba before and are a little unsure whether its for you, then why not come along to one of our regular taster sessions. As a Scuba Diver you will be certified to dive to a maximum of 12 meters as a recreational sport diver on compressed air. As an Open Water Diver you will be certified to dive to a maximum of 18 meters as a recreational sport diver on compressed air. How does FREE Online Training for the Open Water Diver Program work? 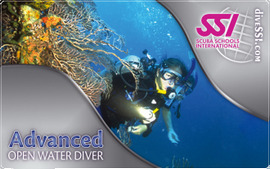 Focuses on the academics needed to become a SCUBA diver. Vivamus ut molestie nulla. Aenean vel tortor velit. Morbi quis varius tortor.. Which training agency is right for you ?? What's the difference between PADI and SSI ?? In reality there is actually very little to choose between the World's two largest Diver training Agencies. The course structures are almost identical and the time required is the same, even the skills you will learn and practice. If you have already started your Diving with one of them, it is likely you will contiue with that system, you will probably choose the same as friends or family that are already certified and enjoying the wonders of the Underwater World. Whichever you choose, you can swap at any time. Both PADI and SSI are recognised worldwide and will be accepted at any Dive Center you find no matter how remote a location. 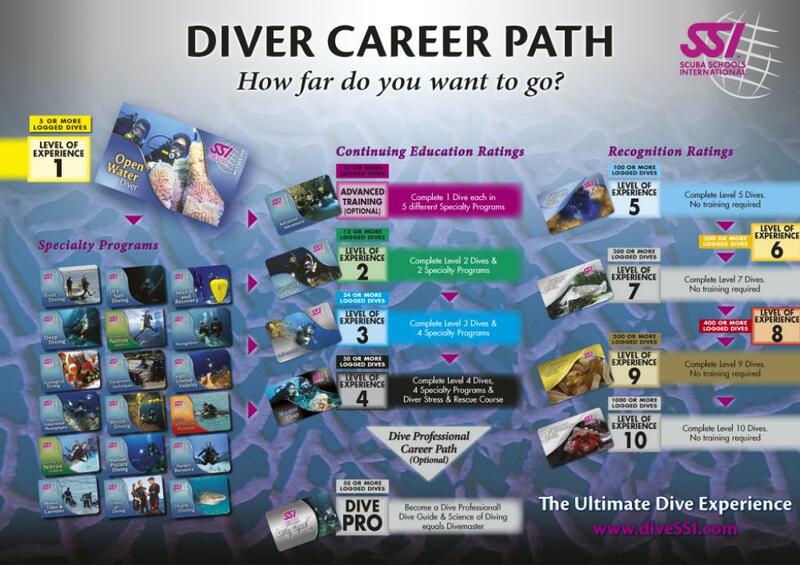 The main difference to you the customer comes at the "beginner level" with the Scuba Diver and Open Water Course. PADI rules state that each student must have their own new book or manual to start the course, SSI allows us to keep a library of books and loan them to you for the duration of the course, this appeals to many people travelling as they dont want to add more to their luggage, This small difference saves anyone choosing the SSI course 1,500 baht. 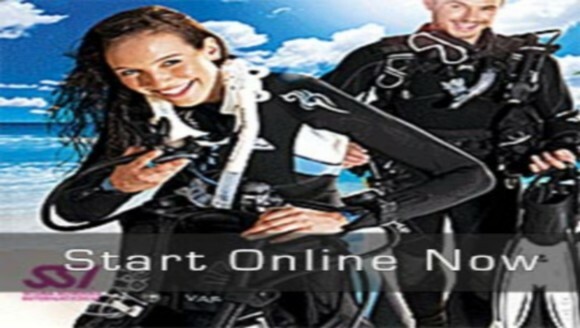 The biggest difference comes if you are planning to study online before you arrive to the Dive Center, either at home or in your hotel or even the internet cafe round the corner, SSI offers you free online training in over 15 languages, PADI charges you $110 for their E-learning. By studying online before you arrive you save money and valuable holiday time. The choice is yours but the saving of over $100 with SSI is very appealing to many of our recent students.